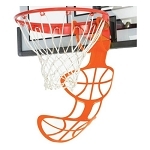 Product: 51587 Reebok 44" Acrylic Fusion Backboard Standard, 3" Hammer Tone Pole, Quick Adjust II Adjustment, Black Slam-it Rim. Great product and service ~ A+! Fast shipping. Great deal. Thanks! I’m very pleased with the basketball set. Serves all my needs and it’s sturdier than I imagined. 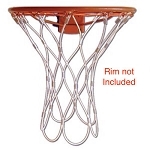 I like that the height of the hoop can be easily adjusted. Overall, it’s perfect! I was looking for a birthday present for the Grandson. Found this sight by accident and have added it to my favorite. This product was more than I expected for the price. Great service and shipped in 3 days. Good transaction, Great seller, A+++, Fast delivery. Thanks.